*Hard To Find Homes Like This Anymore* Don't Miss Your Opportunity To Own This Beautiful Large All Brick 3 Bdrm Home With Built-In Garage +2 Extra Spaces. Large Grand Principle Rooms W/ Wood Flooring Through-Out, Bright & Spacious Eat-In Kitchen W/ Walk-Out To Fully Fenced Yard. Finished Basement Offers Bathroom And Separate Entrance From Garage. Located In The Much Desired Dovercourt Neighbourhood You Are Steps From T.T.C & Subway, Shops, Parks + Much More! 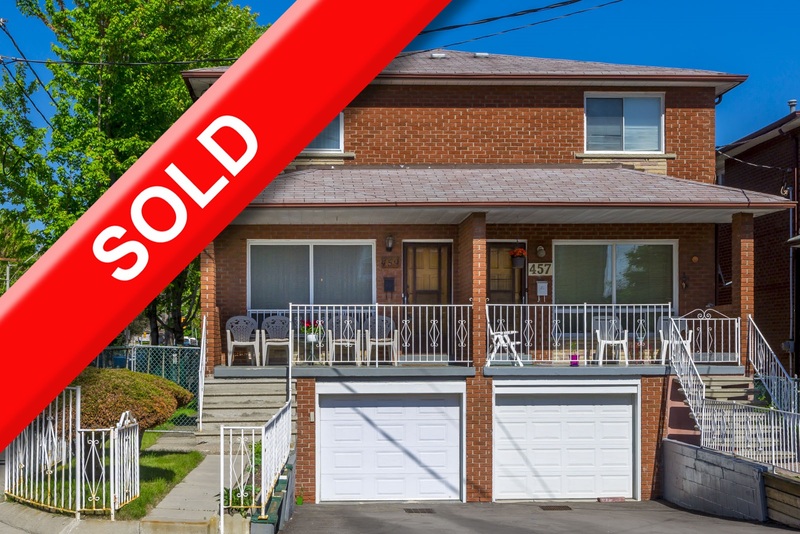 SOLD IN 6 DAYS FOR $60,000 OVER THE ASKING PRICE! Want to learn more about 459 Westmoreland Ave N? I would like to learn more about 459 Westmoreland Ave N.